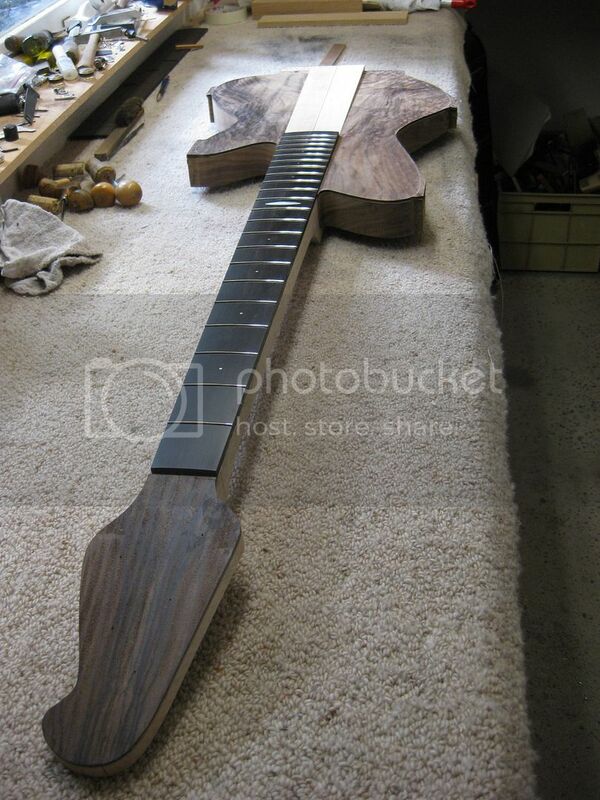 And some more shots of the neck through section with its rosewood wings resting in place. Soon I'll be up to gluing on the wings. I can't wait to be able to cut off the 'clamping lobes' and cleaning up the final shape. I know what it will look like in my head, but I'm looking forward for everyone to see the results. 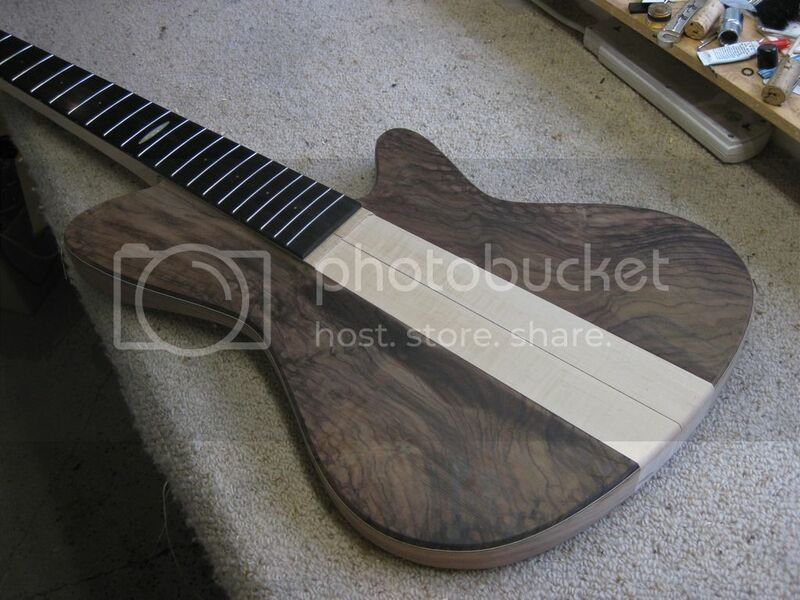 The figured rosewood top on this one is going to look amazing when it gets its coats of lacquer. Again, CAN'T WAIT!!! 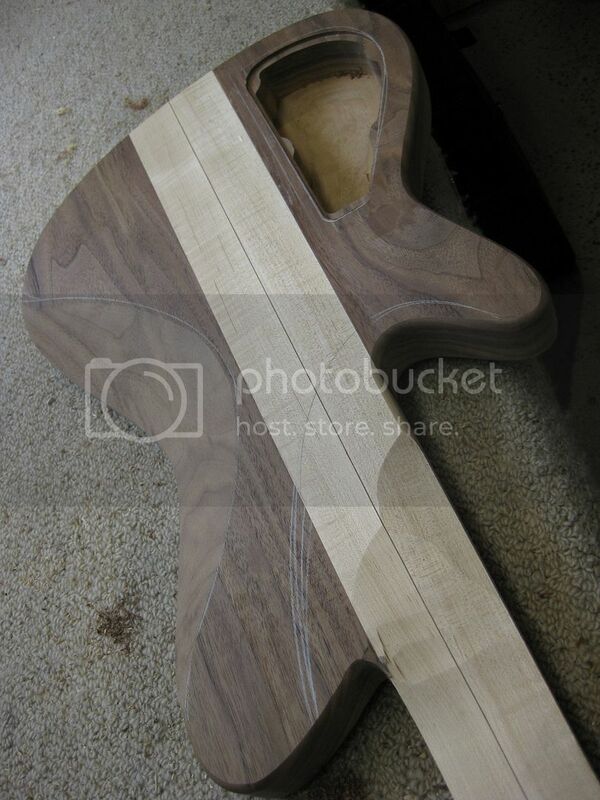 In this shot you can see the matching headstock veneer. 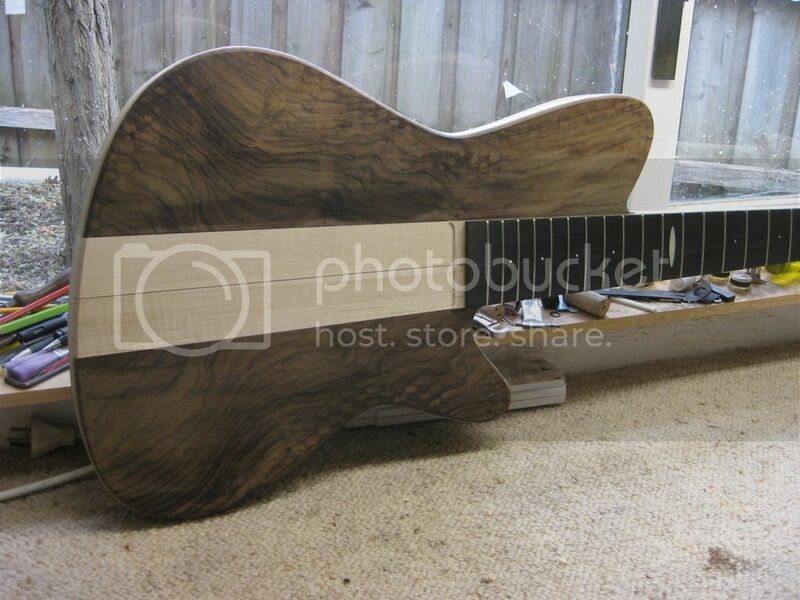 That inlay, wow. Actually the whole thing... wow. Nice work there. Some more shots of the body trimmed up! 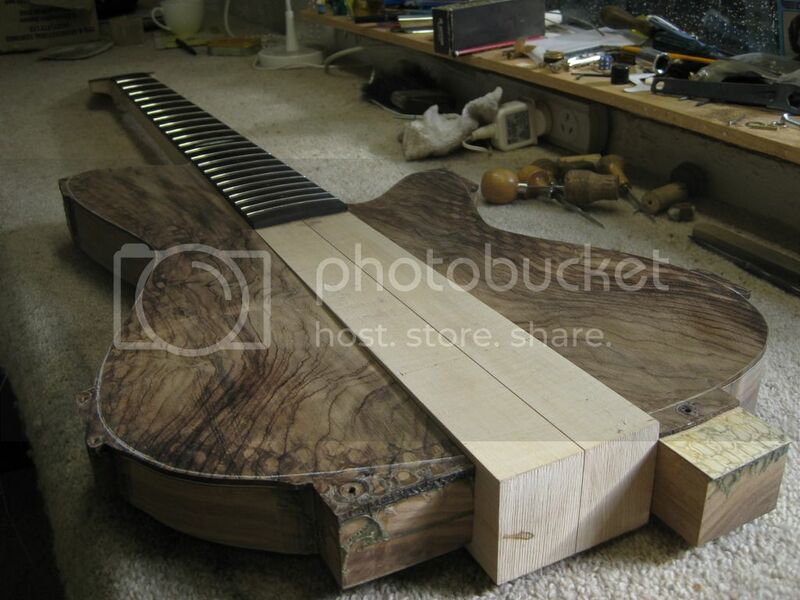 I just love the wild grain pattern on this rosewood top. 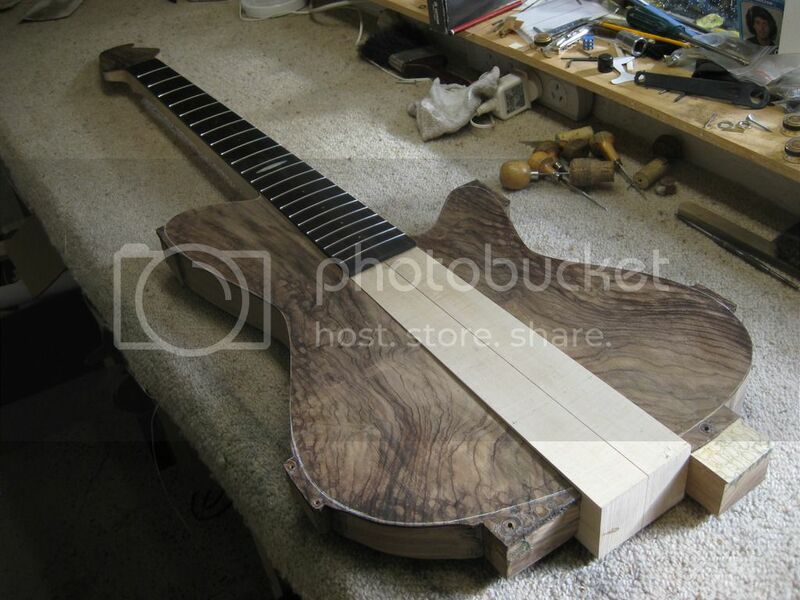 Some shots of the rear of the bass. 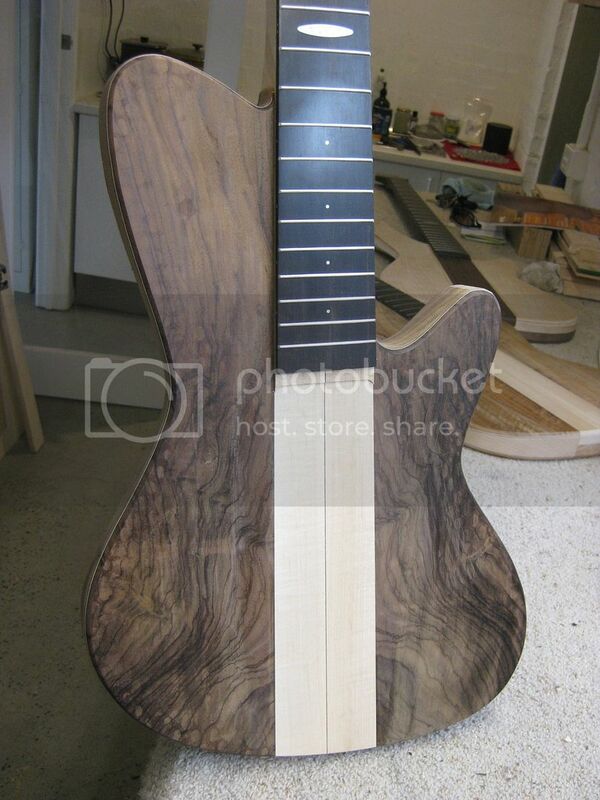 Here you can see the marking out for the rear cutaway. 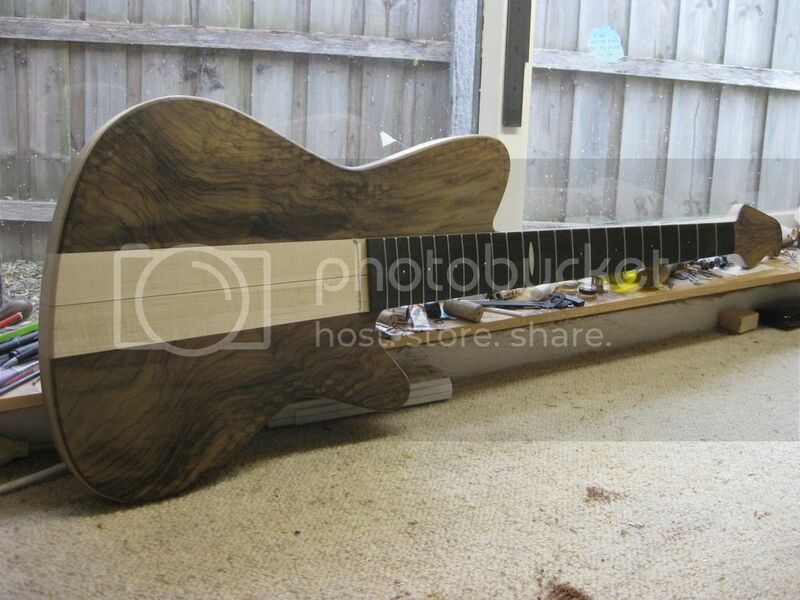 There's probably an hour or so of carving in here alone! 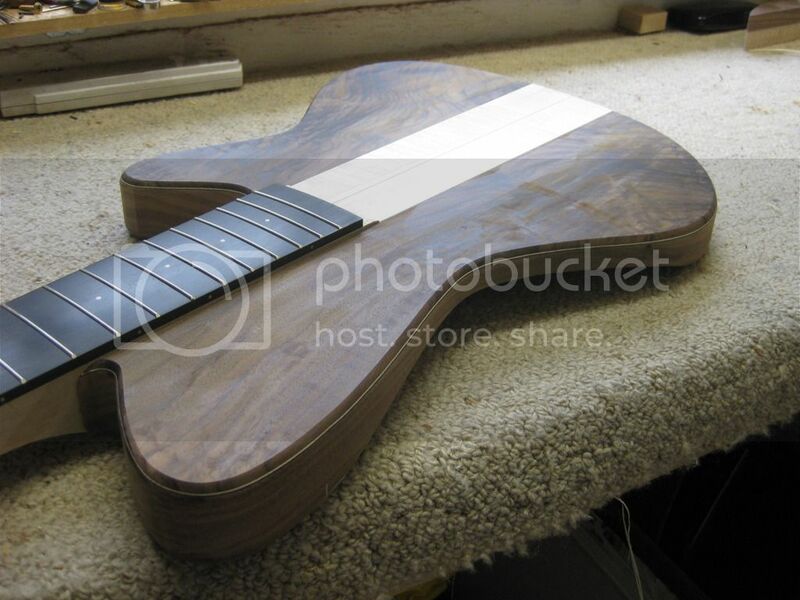 You can also clearly see the size of the control cavity and the big, and I mean 'BIG' tummy cut. Looks even better in person too! I'll have these finished in the next few months an will have them up for sale and of course player demo's. I'm intending to do a showing of them around September and will most certainly want to show them off at the next BGG. If your in the Melbourne area I'm more than happy to have people come over to my workshop and check it all out. Boy those choices are so personal - having tried many pickup and preamp combinations, my ideal combination would be Nordstrand big singles and John East U-retro preamp. Black tuners and bridge - if gold, I prefer the shiny gold Gotoh, not the matt gold ones made by Hipshot. Would love to see the finished pictures.